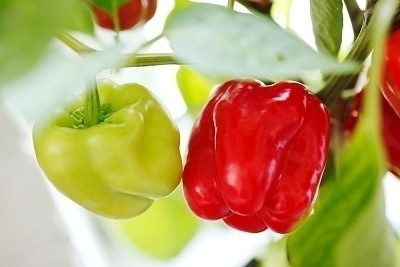 Bell peppers are one of the most popular vegetables for beginning and experienced gardeners to grow. They are inexpensive, easy to care for, and very rewarding for even the most inexperienced gardener. A single plant produces several vegetables each season. Bell peppers are also nutritious and taste great in a variety of salads, entrees, and side dishes. The vegetables can be grown directly from seeds or from starter plants. 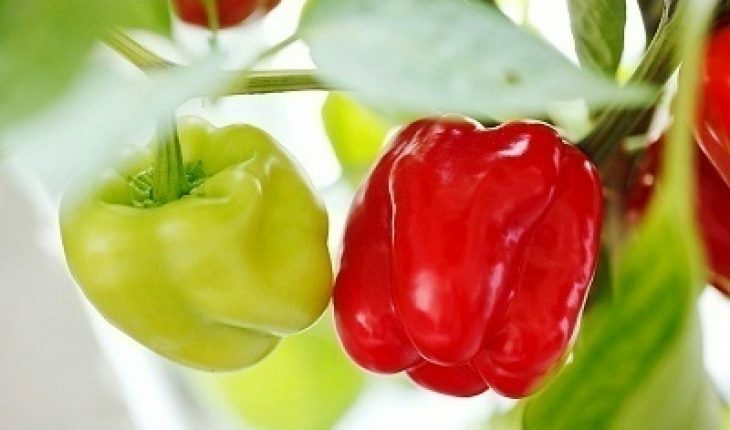 To plant starter bell pepper plants, you will need a sunny garden area, a spade, and nutrient-rich garden feed such as manure, compost, or Miracle Grow. You might also want to wear a pair of gardening gloves while working with the soil and the plants. Prepare the soil for gardening a day or two in advance. Loosen the fibers of the soil, remove weeds from the area, and add compost or manure to the garden bed. Choose the healthiest bell pepper plant you can find at your local garden store or use plants started indoors from seeds. If a plant is wilted or dry, you need to restore its health before planting outdoors. Avoid buying unhealthy plants and wait to plant those you have started indoors until they are healthy and strong. Dig a hole in the prepped soil with the spade about an inch deeper than the plant container. If the plant is in a biodegradable pot, you can place the entire pot in the soil. If the pot is plastic or part of a larger container, gently remove the plant and roots. With your fingers, separate the roots without tearing them from the plant. Sometimes roots twist and bind together, so they need to be sorted before placing them into the soil. Once the roots are untwisted, lower the plant into the hole. Back-fill the dirt into the hole you created around the plant and the roots. The soil should be level and cover the lower portion of the plant, but the green leaves and stalks of the plant should rise above the soil. Water the plant for several minutes once it is in the soil. Monitor the moisture level closely over the first few weeks as the plant is taking root in the ground. Bell pepper seeds are fairly easy to grow and are a less expensive way to have peppers in your garden. A packet of seeds costs around $1 and leads to the growth of dozens of plants. Seeds also ensure your plants are under your control right from the beginning, so they are the best choice if you prefer organic or natural gardening. Seeds lead to full-grown peppers in as little as 70 days, so they are a great choice for impatient gardeners. Prepare the ground for planting a few days in advance by loosening the soil and adding nutrient-rich feed. When ready to plant, use a spade to cut a horizontal divot in the soil about an inch deep for the seeds. The length of the divot is determined by the number of plants you want to grow. Plants need to be at least two feet apart, so situate your seeds at this distance. Once the seeds are laid in the divot, back-fill the area with soil to cover the seeds and water the area thoroughly. You might want to use sticks or garden stakes to mark the seed locations. As long as the soil is moist and receives plenty of sunlight, you will have several pepper plants in a few weeks.